Data in Organizations rests in various storage media across different departments. 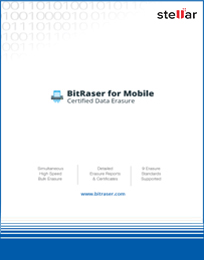 If the storage media has left the control of the organization or has been reallocated within the organization, it is a legal obligation of the organization to ensure that data on the storage media is effectively erased in a secure manner using a professional erasure tool- BitRaser. 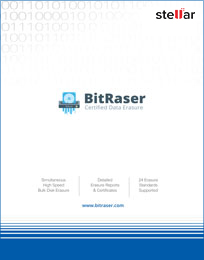 This certified data erasure software permanently removes data beyond the scope of data recovery with the help of 27 international erasure standards. This way the storage media is fully sanitized and available for reuse. Is a software to permanently erase data from drives beyond the scope of data recovery. It can perform high speed simultaneous erasure of 32 drives and provides detailed audit trails. Software to perform high speed bulk data erasure over a network. You can erase up to 65,000 drives and get detailed erasure reports & certificates for fulfilling internal & external audit requirements. 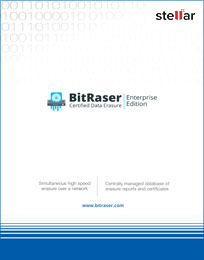 BitRaser for Mobile is a privacy safeguarding software. It is an effective & efficient solution to permanently erase all data from your mobile devices such as smartphone and tablets running on iOS & Android.